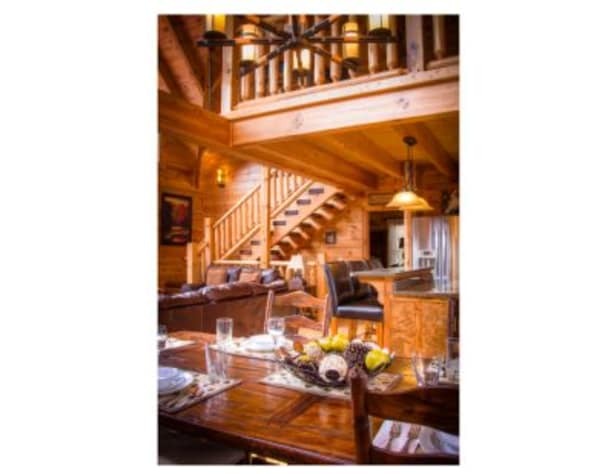 “MOOSEBERRY” is a handicap accessible spacious three (3) KING MASTER BEDROOM SUITE cabin, conveniently located in Alpine Mountain Village, a premium cabin resort. 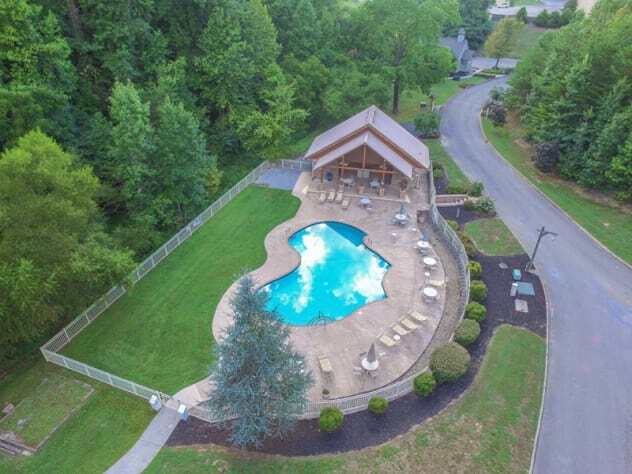 Our upscale resort is in the heart of Pigeon Forge and only 1/2 mile from the Pigeon Forge Parkway. 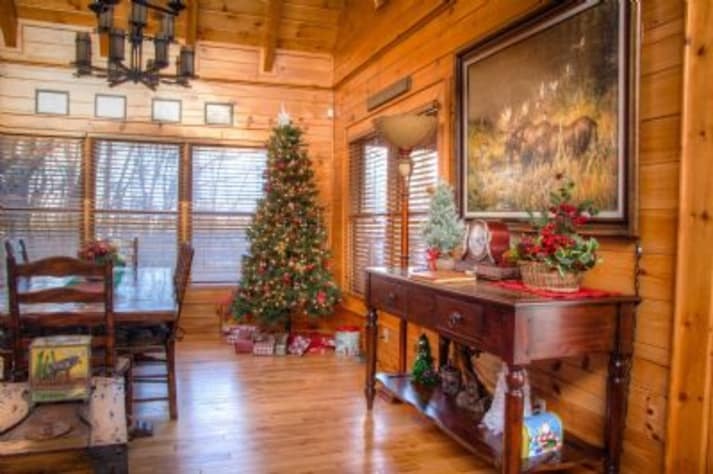 This beautiful 3300 square foot cabin has a ramped entry to the main level and has been professionally decorated to provide the utmost in comfort and style. Upstairs you will enjoy the lofted sitting room that has a queen sofa sleeper, 32 inch LCD HDTV, Blu-Ray Disk Player and desk. Mooseberry comfortably sleeps eight. 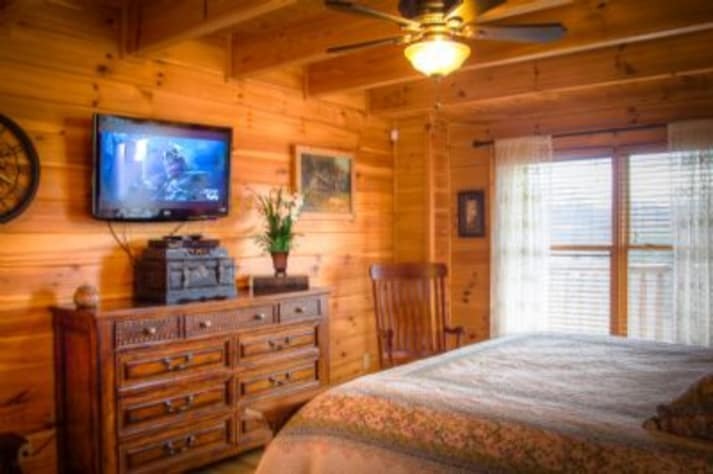 Our cabin provides WIRED and WIRELESS INTERNET ACCESS, so bring your laptops. Enjoy the open-air design of the great room, kitchen with island bar, and dining area where dining in will be a pleasure. The well-appointed kitchen has all new stainless appliances with a large refrigerator with ice maker. 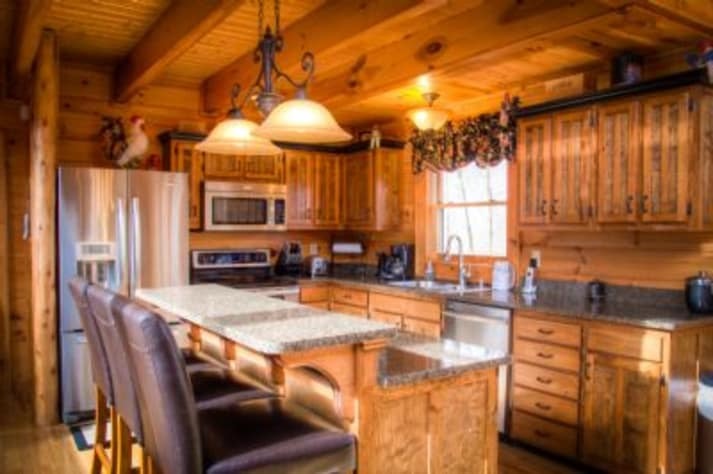 The double oven will provide the extra baking space to save you precious time while in Pigeon Forge. Also for your convenience are a microwave, toaster, coffeemaker, blender, slow cooker, silverware, Corelle dinnerware and quality cookware. Mooseberry has it all; you just need to bring the food and appetite. 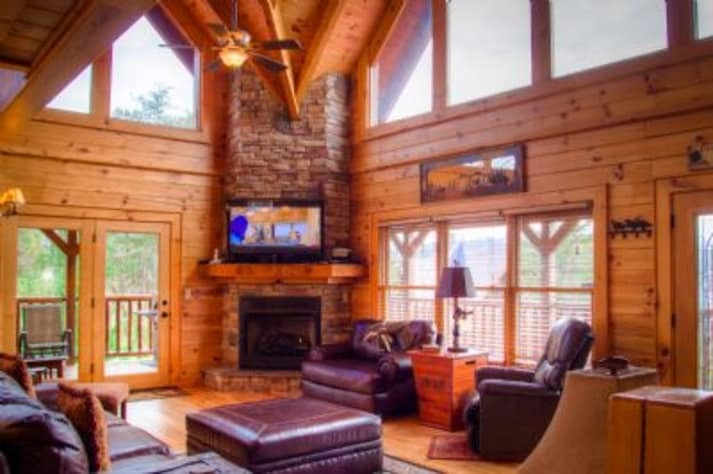 Mooseberry has a Great Room with a stacked stone fireplace, 50 inch LCD HDTV, Blu-Ray Disk Player, large windows, ceiling fan, quality furnishings and unique decorations. 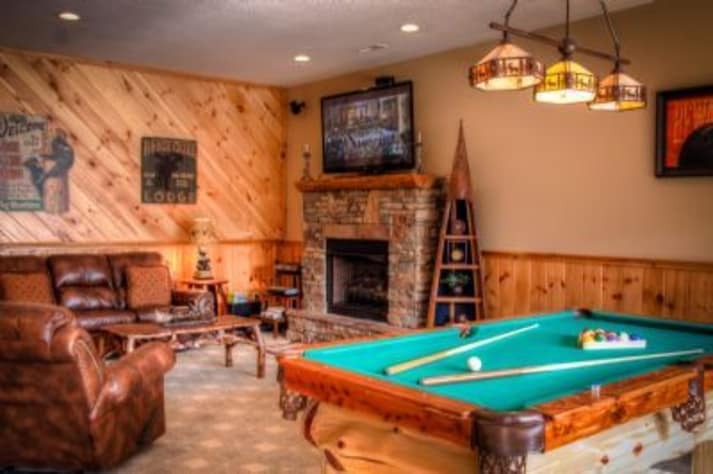 The lower level Game Room has a SECOND FIREPLACE, custom made pool table, electronic games including barnwood furniture, and comfortable leather seating to enjoy the 60” LCD HDTV, Blu-Ray DVD player with surround sound. The Game Room also has a refrigerator, bar and washer/dryer. 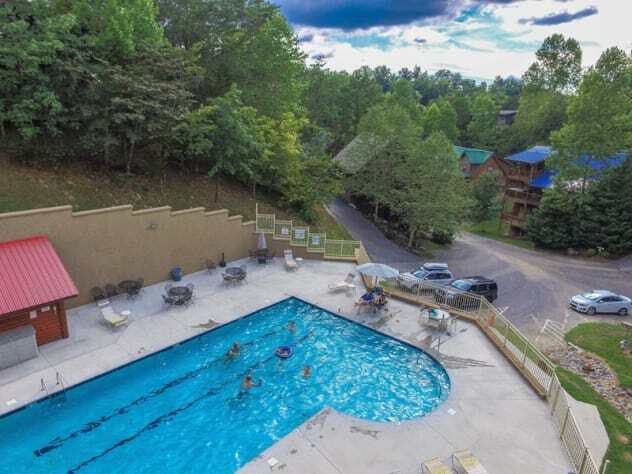 Alpine Mountain Village Resort is a log cabin community in the beautiful Smoky Mountains and offers a swimming pool, covered pavilion area, playground area, walking trails, a beautiful spring-fed brook and large waterfalls. 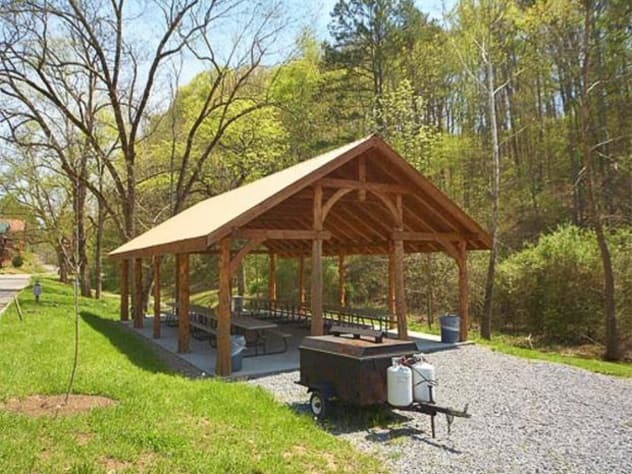 This quiet, serene mountain setting is only 1/2 mile from Pigeon Forge Parkway and very convenient to all the local activities. We know you will enjoy your stay at our “no smoking” and “no pet cabin”. 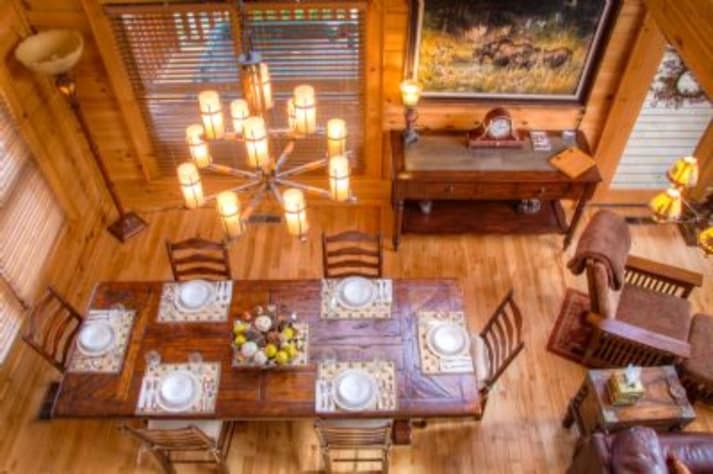 Mooseberry can accommodate 6 adults maximum(8 total including all children, 17 and younger). You must be at least 25 years of age to rent. 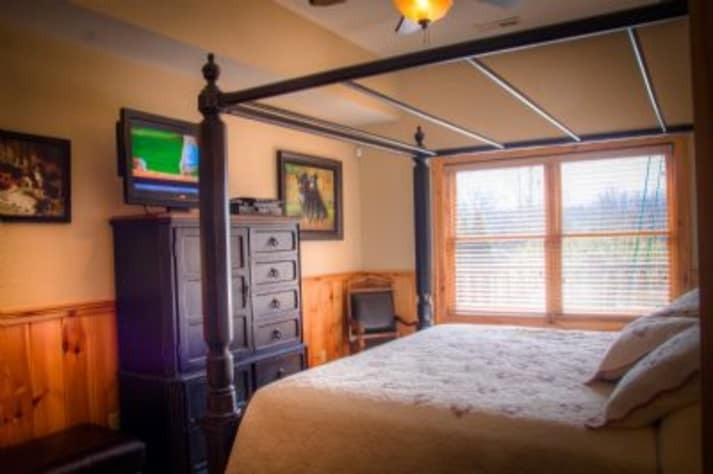 Be sure to spend time reading the reviews left from past guests, scanning over the amenities, viewing the pictures and YouTube video provided. 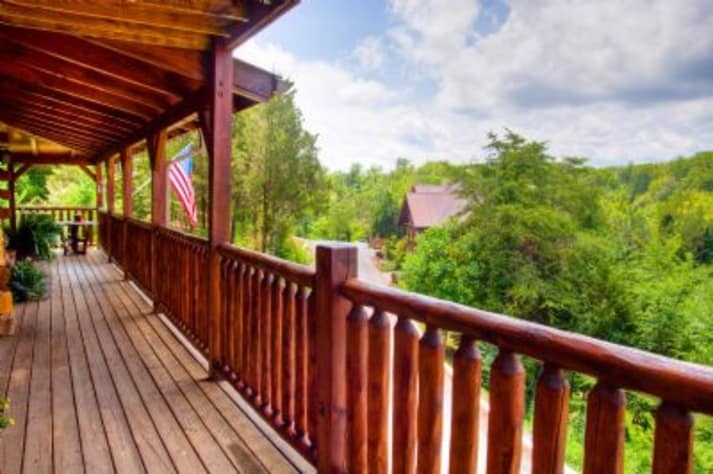 If you are searching for a luxury cabin to enjoy a quality vacation, then look no more. RESERVATION DEPOSIT and PAYMENT: To secure your reservation there is a 25% Reservation Deposit by credit or debit card at the time of booking. Your remaining balance will be due 45 days prior to arrival. If you book within 45 days of your stay, the total amount will be charged to your credit/debit card at the time of booking. 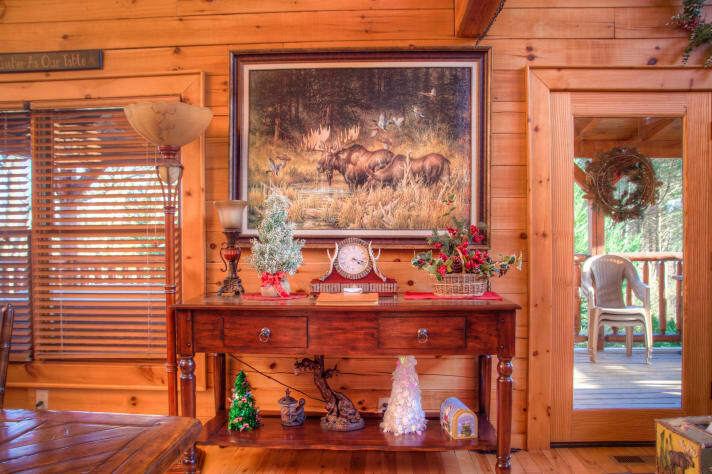 We look forward to having you stay at our cabin for your upcoming visit. We hope you choose “MOOSEBERRY” for your vacation and travel. If you have any questions, we would be happy to answer them for you. Just let us know. WE WILL NOT RENT TO ANYONE UNDER 25 YEARS OF AGE UNLESS ACCOMPANIED BY AN ADULT GUARDIAN OR PARENT. One of the most comfortable places we’ve ever stayed at. Even more comfortable than Disney vacation homes. 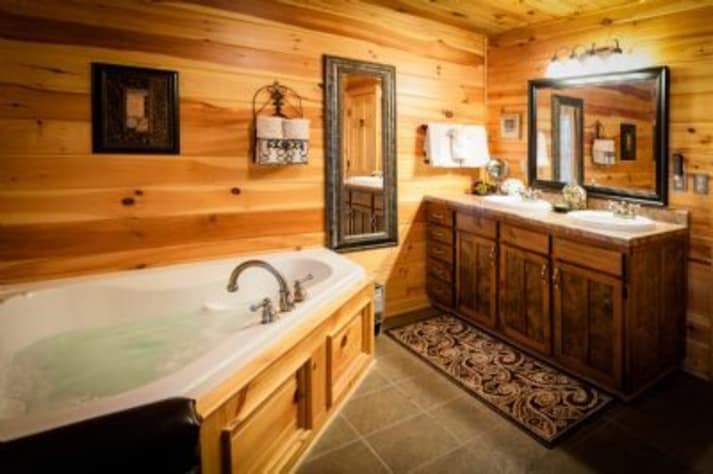 Three very private bedrooms with baths , large family room and the jacuzzi is awesome. This is a very comfortable Cabin with comfortable beds. We had a very enjoyable experience at Mooseberry! The cabin was beautiful and very clean. We had all of the space and amenities that we needed inside and out. We used the gas grill even in the rain and loved the outdoor area, especially the comfy chairs! We enjoyed the pool table and the whole basement area. We used the washer and dryer for towels and that was convenient also. We used both gas fireplaces at night and they were great. We also saw a squirrel and a raccoon on the porch one night! Overall, we had a great time! We are a group of (6) ladies all in our 70’s. We have been friends over 65 yrs, and always wanted to do a road trip. We finally got to do it. I’m so glad we decided to make Mooseberry our destination. This house is absolutely beautiful. We were very comfortable and felt very safe here. I plan on renting this property again and bring my family. Had a great time. The cabin is beautiful. The amenities included in the cabin were plenty. The beds and couches were comfortable. The game room was amazing. We will be back. We have stayed at this cabin several times & have never been disappointed. We had a great time on our wedding trip. The cabin was so pretty. There was plenty of room for all of us and it was easy to get to. Enjoyed the hot tub and downstairs game room . Perfect location and beautiful cabin! Great location, easy access for elderly parents, beautifully and comfortably furnished. 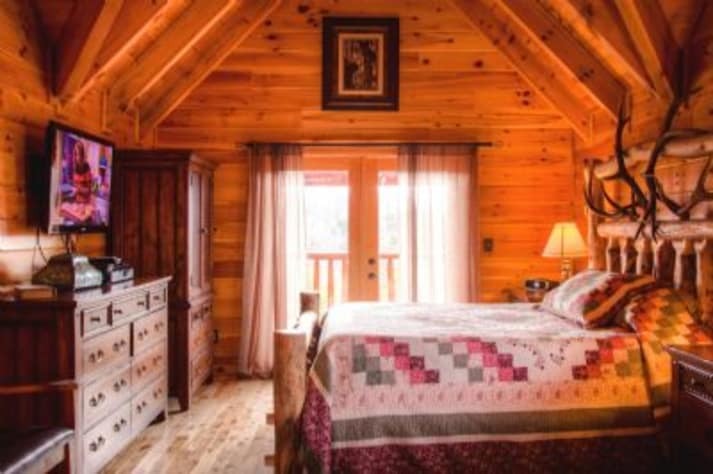 Cabin is spacious, well furnished and maintained, with easy access to National Park and tourist attractions. Beautiful cabin, well stocked. Other than a ac unit issue the first few days, everything was great. This was a great place to stay while we were in Pigeon Forge TN. The place was clean and well kept. Easy access to get in and out for the door. GPS can have fun trying to find it, so use their directions as well. There were five in our group 2 couples and 1 single. All 3 king suites have their own bathroom and there is room for two more via hide-a-bed, sadly no spare bathroom for them. :) We loved hanging out on the covered deck in the evening and chatting. The place is about 1/2 mile from all the action on the main drag in Pigeon Forge and only about 15 minutes from Dollywood. You don't hear all the cars from there, but it is only a short car ride down the hill. You can park at least 2 cars and probably 3 in front. 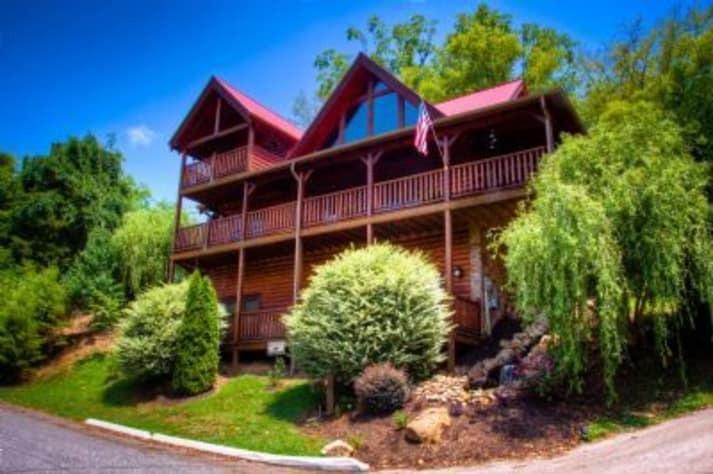 This was a very nice place to stay while in Pigeon Forge TN and would stay there again. Mooseberry was the perfect fit for us for our vacation. It met all our needs and more. We plan to return in the future. This is probably my 5th or 6th vacation home rental. And I would have to say for the price, this is a spectacular property. Communication was on point. Craig did a great job of sending everything to us. He answered any emails quickly. He is not lying when he says to NOT follow GPS. She had us going in circles to find this place, but once we pulled out his step by step instructions we were fine. We had 5 adults staying here, one elderly with mobility issues so the main floor bedroom was our major draw. 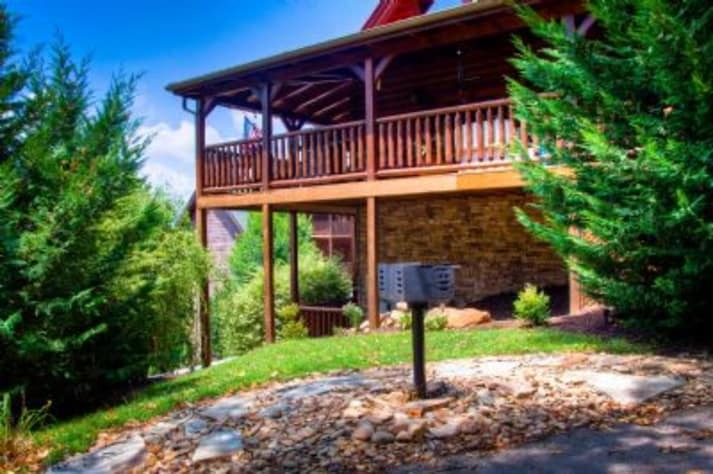 Location is perfect if you want to hang in Pigeon Forge. For us we were going between Sevierville and Gatlinburg so it was perfect. About a half hour either way. There are not many forks so bring your own or bring some plastic ware! The front door lock can be tricky the first few times if you are not used to it. You have to wait for the sound of the lock, and the green light, THEN you can turn the lock mechanism to unlock. There are two coffee pots, one traditional, one KCup, so bring your own Kcups if thats your thing. We ran to Publix to pick up a box. The hot water is SUPER hot when you first turn it on. So please please be careful. We had specific instructions for the ice maker/fridge but I think maybe there is a new fridge? As there seemed to be no on/off mechanism and we had ice upon arrival? The driveway is a bit steep so just be warned. And the basement bedroom is very very cold. We had the air turned off completely and it never registered above 65. So put your most warm blooded guests down there or pack some long johns, even in the summer. LOL. The view is nice but be warned you cant really see the mountains so if that is your thing, you wont see them here. For being a resort with cabins literally on top of each other, this place was remarkably quiet. We had no issues with noise or neighbors during our stay. Absolutely would stay again and Craig has been really easy to deal with. The whole process was pretty painless. it was very spacious and each room was very private. The house was decorated nicely and the Furnishings were very adequate. We all enjoyed the hot tub every evening of our stay. The kitchen was well-equipped and the table was large enough for our party. The TVs and all the remotes were a little difficult to figure out but we didn't spend much time watching TV anyway. If you like a cool room take one of the lower two. The upper bedroom has its own cooling unit but if your wife has hot flashes you need to choose one of the lower bedrooms as it tends to get very warm up there. Clean, beautiful house. Had everything we needed was just great! We had the privilege of renting Mooseberry for the kids. 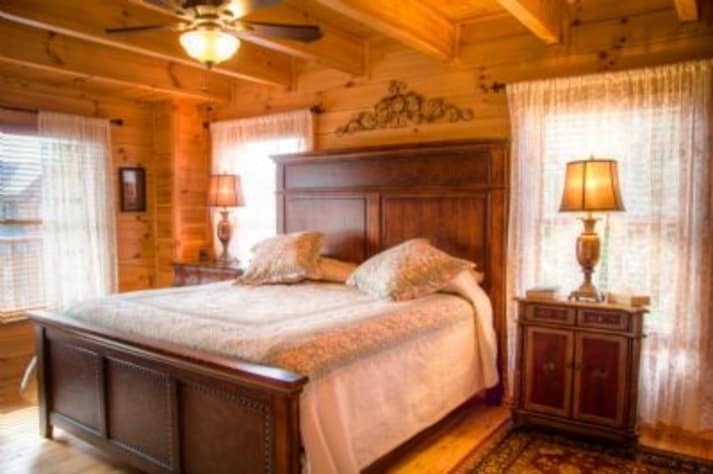 It is absolutely beautiful, roomy, and wonderfully decorated throughout the cabin. I would definitely give it 5 stars for cleanliness and I can be hard to please. The beds and linens were very comfortable and we had some of the best night's rest we've had on any vacation. The cabin had a great location in the resort giving it some nice privacy from the other homes. We didn't use the gas grill but it appeared to be fairly new and clean. 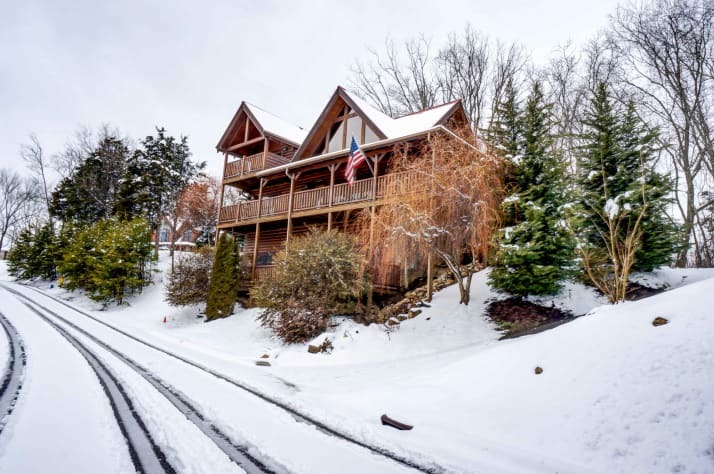 The driveway is a bit steep initially but levels out as you drive behind the cabin and there is parking for at least three vehicles with room to turn around. The doors kept locking behind us as we were trying to unload the vehicles or if we went out the side door to use the hot tub so memorize your key code quickly. We had only some very minor issues while we were at Mooseberry concerning the Xbox 360 and the TV 's and it was quickly addressed by the property manager who was wonderful to deal with and took our concerns seriously. 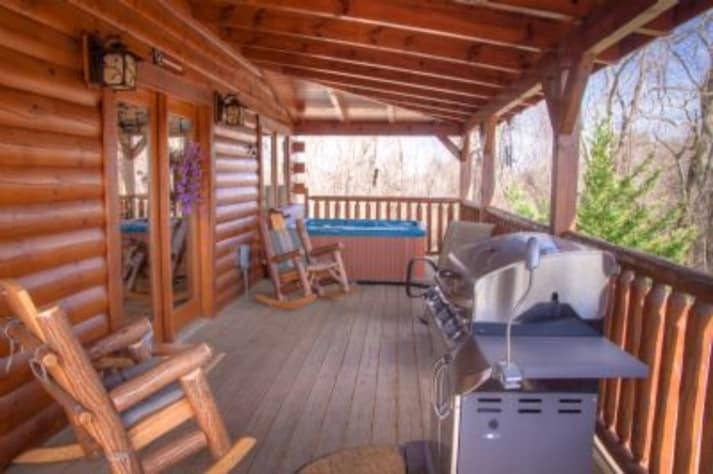 We'd love to compliment and thank the property manager and the owner of Mooseberry for having one of the nicest and best priced cabins to rent in the Pigeon Forge area. We truly hope we can return next year. We had an all women retreat with our family and to say Mooseberry was stunning is an understatement. We had a great time at the cabin. It was stocked with everything we needed and more. Beautiful area and the cabin was remarkable. Extremely clean, beautifully decorated and the location couldn't have been better. 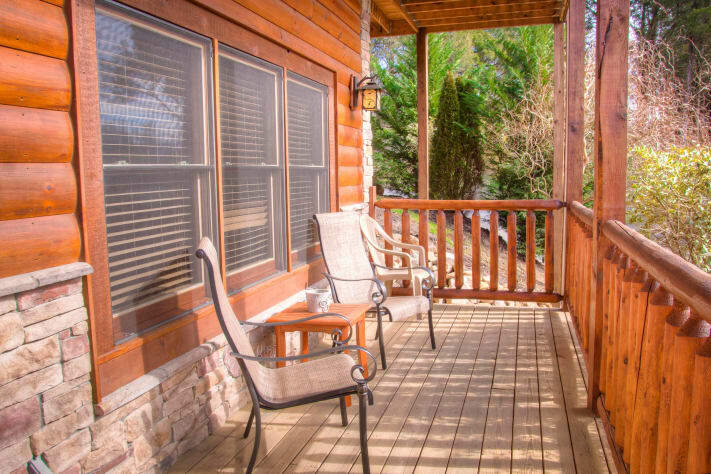 It is close to everything in Pigeon Forge but still has the feeling of being in a secluded area away from all the traffic. Very accommodating and relaxing. 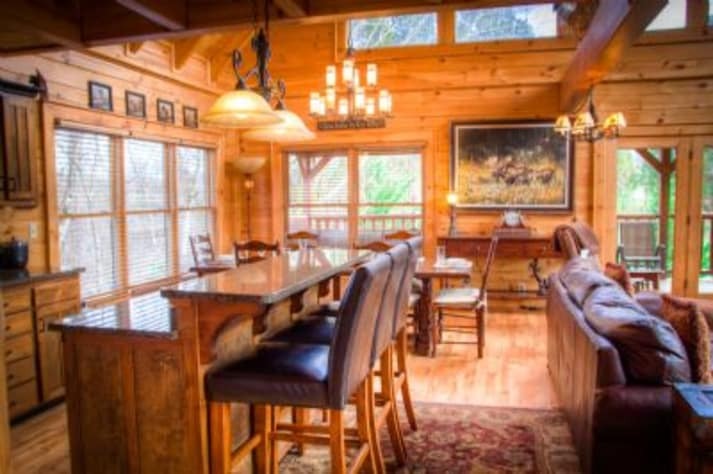 We will definitely be renting this cabin again in the future. 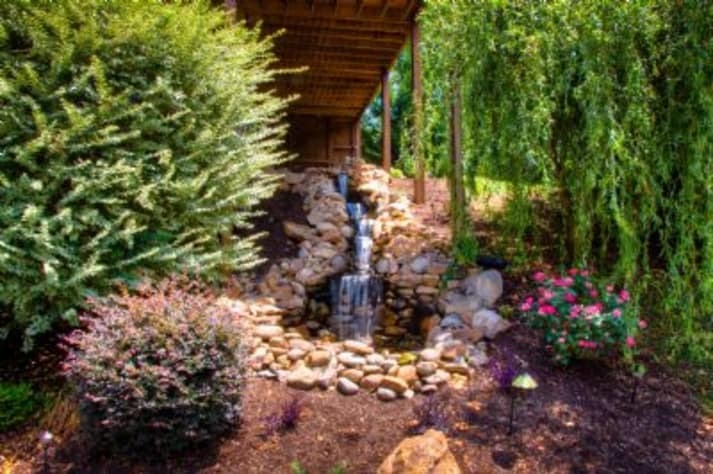 We plan to make it a yearly retreat and we have found the perfect place with this rental. 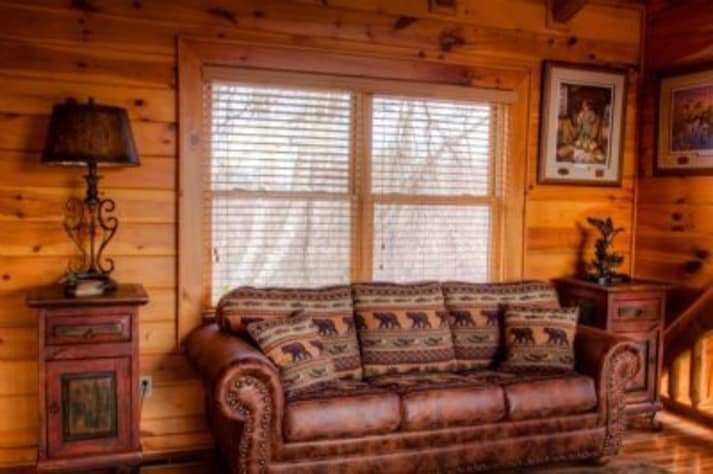 We would recommend this cabin to anyone looking for a beautiful, clean, relaxing getaway. Thanks for a long weekend! â˜… â˜… â˜… â˜… â˜… We had a great time! The cabin was very clean and beautiful! We will certainly return!